Video — Can you be good without God? Clearly, an atheist can do good things and abhor certain evil things. But can an atheist make a case that some things are inherently good, and other things are inherently evil? A faith without some doubts is like a human body without any antibodies in it. People who blithely go through life too busy or indifferent to ask hard questions about why they believe as they do will find themselves defenseless against either the experience of tragedy or the probing questions of a smart skeptic. A person’s faith can collapse almost overnight if she has failed over the years to listen patiently to her own doubts, which should only be discarded after long reflection. Believers should acknowledge and wrestle with doubts — not only their own but their friends’ and neighbors’. It is no longer sufficient to hold beliefs just because you inherited them. Only if you struggle long and hard with objections to your faith will you be able to provide the grounds for your beliefs to skeptics, including yourself, that are plausible rather than ridiculous or offensive. And, just as important for our current situation, such a process will lead you, even after you come to a position of strong faith, to respect and understand those who doubt. But even as believers should learn to look for reasons behind their faith, skeptics must learn to look for a type of faith hidden within their reasoning. All doubts, however skeptical and cynical they may seem, are really a set of alternate beliefs. You cannot doubt Belief A except from a position of faith in Belief B. For example, if you doubt Christianity because “There can’t be just one true religion,” you must recognize that this statement is itself an act of faith. No one can prove it empirically, and it is not a universal truth that everyone accepts. If you went to the Middle East and said, “There can’t be just one true religion,” nearly everyone would say, “Why not?” The reason you doubt Christianity’s Belief A is because you hold unprovable Belief B. Every doubt, therefore, is based on a leap of faith. Some people say, “I don’t believe in Christianity because I can’t accept the existence of moral absolutes. Everyone should determine moral truth for him- or herself.” Is that a statement they can prove to someone who doesn’t share it? No, it is a leap of faith, a deep belief that individual rights operate not only in the political sphere but also in the moral. There is not empirical proof for such a position. So the doubt (of moral absolutes) is a leap. The only way to doubt Christianity rightly and fairly is to discern the alternate belief under each of your doubts and then ask yourself what reasons you have for believing it. How do you know your belief is true? It would be inconsistent to require more justification for Christian belief than you do for your own, but that is frequently what happens. In fairness, you must doubt your doubts. My thesis is that if you come to recognize the beliefs on which your doubts about Christianity are based, and if you seek as much proof for those beliefs as you seek from Christians for theirs — you will discover that your doubts are not as solid as they first appeared. I commend two processes to my readers. I urge skeptics to wrestle with the unexamined “blind faith” on which skepticism is based, and to see how hard it is to justify those beliefs to those who do not share them. I also urge believers to wrestle with their personal and culture’s objections to the faith. At the end of each process, even if you remain the skeptic or believer you have been, you will hold your own position with both greater clarity and greater humility. Do I ever have doubts about Christianity? There are certainly things I do not understand, whether in the Bible, theology, ethics, or history. There is so much more that makes sense to me by being a Christian, however, as opposed to being a skeptic or adherent of some other religion, that none of these “doubts” has caused serious trouble for me for quite a long time. Part of this is because I have struggled through some real doubts of my own in the past, and come through at the end with my faith strengthened. If you are a Christian, what are your doubts? How are you dealing with them? If you are a skeptic, are you questioning your doubts about Christianity? Do you have doubts about your own doubts? Many Christians go through a time when they are troubled in their faith when confronted with challenges from skeptics and unbelievers. Christianity today has posted the testimony of Gregory Alan Thornbury, who almost gave up his faith when challenged by the teachings of people beyond the liberal fringe of Christianity such as Marcus Borg, a member of the Jesus Seminar, a group of scholars devoted to cutting the Bible apart to create a new Jesus that is more to their liking. The thing that “saved” Thornbury was a book, in this case God, Revelation, and Authority by Carl Henry. Read more about it on the Christianity Today website: How I Almost Lost the Bible. Read. Read, read, read. Search for answers as if you were digging for treasure. There are plenty of compelling reasons to stay in the faith. 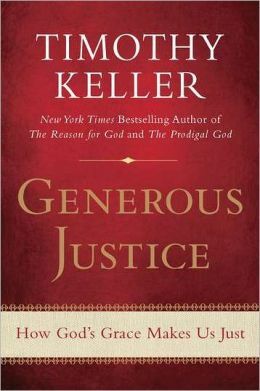 Read apologetics books by Keller, Geisler, Craig, Blomberg, Wright, and many others. There are answers. Doubt your doubts. The skeptics want you to doubt your faith. It is equally valid–or perhaps more valid in many cases–to doubt your doubts. Pray. There are spiritual aspects to the battle that you and I cannot see. If you are doubting whether or not Christianity is true, there are answers. Is there a book that will “save” you from falling away? There is only one way to find out. Think of some idea that you think is loony that other people believe in and adamantly support. My list would include alien abductions, the face on Mars, conspiracy theories about the Apollo moon landings, and thinking that Che Guevara or Hugh Hefner are cool. Your list would probably differ from mine. That’s OK; I hope we can still have civil conversations. I have friends who believe things that I think are completely wrong. I consider the latest religious offering from Newsweek to be in the same category as belief in the Loch Ness monster or a flat Earth — The Bible: So Misunderstood It’s a Sin, by Kurt Eichenwald. It is common for American news magazines to celebrate Christmas and Easter by printing articles that attack Christianity, and they typically have a sensational news article about something like the discovery of an obscure fourth century manuscript claiming Jesus had a wife. These ideas come and go, but they seem to sell magazines, so we can expect this trend to continue. They wave their Bibles at passersby, screaming their condemnations of homosexuals. They fall on their knees, worshipping at the base of granite monuments to the Ten Commandments while demanding prayer in school. They appeal to God to save America from their political opponents, mostly Democrats. They gather in football stadiums by the thousands to pray for the country’s salvation. Most of us don’t fit that description. It makes me wonder if Eichenwald knows any Christians (except perhaps progressives who read John Shelby Spong and Bart Ehrman). As I read the article, my jaw dropped in disbelief that Newsweek would publish an article that contained such blatant errors about any topic, not just Christianity. Eichenwald’s description of how the Bible got to us was the “telephone game,” where one person whispers something in someone’s ear, who passes it on to the next person, so on down the line, until the message becomes completely garbled. That is not even remotely how stories are passed on in oral societies, and is completely irrelevant to how the New Testament was compiled (and one could make a case that it is irrelevant to how the Old Testament was compiled as well). In addition, Eichenwald described our modern English translations as having been produced as translations of “a translation of translations of translations of hand-copied copies of copies of copies of copies.” Again, this is utter nonsense. I guess the editors of Newsweek don’t know much about the history of how the Bible got to us, and this all sounded like a nice story to them, so they went ahead and published it. I’m not saying that everything Eichenwald wrote in the article is bad or false. We all need to be aware, for example, of our tendency to pick and choose what parts of the Bible we are going to follow, rather than letting the Scriptures inform our thoughts, words, and deeds. Rather than going through Eichenwald’s article myself, I am going to refer you to other reviews, written by people better qualified than myself. Newsweek (yes, it’s still around) decided to celebrate Christmas by publishing the most insulting and ignorant article I have seen put out by a mainstream publication. If you are a Christian (at least a conservative one), this is your portrait: “They wave their Bibles at passersby, screaming their condemnations of homosexuals. They fall on their knees, worshipping at the base of granite monuments to the Ten Commandments while demanding prayer in school…They are God’s frauds, cafeteria Christians who pick and choose which Bible verses they heed with less care than they exercise in selecting side orders for lunch. They are joined by religious rationalizers—fundamentalists who, unable to find Scripture supporting their biases and beliefs, twist phrases and modify translations to prove they are honoring the Bible’s words.” Yeaaaah. And that is the opener. It goes on for 34 pages, taking every angle to cast doubt on the scriptures and lambast the stupidity of anyone moronic enough to think they actually can be a guide for life. The author, an atheist journalist who writes mainly in the area of finance, seems to have no actual knowledge of the issues except what he read from Sprong and Ehrman. I won’t link to the article, (you can find it easily enough) but I will point out the incredibly measured and patient analysis of the article by Dr. Michael J. Kruger here and here. 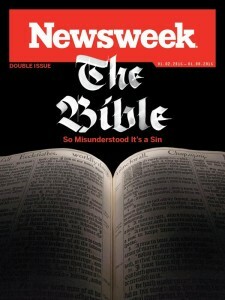 However, the recent Newsweek cover article by Kurt Eichenwald, entitled “The Bible: So Misunderstood It’s a Sin,” published intentionally (no doubt) on December 23rd, goes so far beyond the standard polemics, and is so egregiously mistaken about the Bible at so many places, that the magazine should seriously consider a public apology to Christians everywhere. Of course, this is not the first media article critiquing the Bible that has been short on the facts. However, what is stunning about this particular article is that Kurt Eichenwald begins by scolding evangelical Christians for being unaware of the facts about the Bible, and the proceeds to demonstrate a jaw-dropping ignorance of the facts about the Bible. About 400 years passed between the writing of the first Christian manuscripts and their compilation into the New Testament. This is patently false. Collections of New Testament writings were functioning as Scripture as early as the second century (and, to some extent, even in the first). Eichenwald seems utterly unaware that this whole course of argument is incorrect and drawn directly from internet chat rooms and books like the Da Vinci Code. In sum, the first part of Eichenwald’s article is an unmitigated disaster. Notice that Eichenwald offers no historical evidence about the mass killing of Christians by Christians within the first few centuries (we are talking about the pre-Constantine time period). And there is a reason he doesn’t offer any. There is none. Sure, one can point to instances in the medieval period, such as the Inquisition, where Christians killed other Christians. But, Eichenwald claims that Christianity began this way: “for hundreds of years after the death of Jesus.” This is another serious historical mistake that needs correcting. Up to this point, Eichenwald’s article has been an epitomized by imbalanced and straw-man accusations against the Bible. Unfortunately, in the section on homosexuality Eichenwald reaches a new low. At no point is it more obvious that he is driven by his own entrenched ideological commitments and not by an honest attempt to understand what evangelicals believe. By way of conclusion, it is hard to know what to say about an article like Eichenwald’s. In many ways, it embodies all the misrepresentations, caricatures, and misunderstandings of the average non-Christian in the world today. Eichenwald seeks to demonstrate that the Bible is “loaded with contradictions and translation errors and wasn’t written by witnesses and includes words added by unknown scribes to inject Church orthodoxy.” Eichenwald insists his article is not an attack on the Bible or Christianity. Rather, Eichenwald wants to rescue the message of Jesus from “God’s frauds,” those manipulative fundamentalists who don’t read or understand their Bibles but abusively twist it in order to create misery for others. Even with a generous 8,487 words, Eichenwald reveals he is out of his depth for this subject matter. Though he doggedly advances his predetermined thesis from a mishmash of angles, experts quickly showed online that Eichenwald has not really done his historical homework or read his Bible carefully. When written by journalists like Newsweek‘s former editor Jon Meacham or TIME reporters such as David Van Biema, the articles were often balanced and genuinely insightful. Meacham and Van Biema knew the difference between theological liberals and theological conservatives and they were determined to let both sides speak. I was interviewed several times by both writers, along with others from both magazines. I may not have liked the final version of the article in some cases, but I was treated fairly and with journalistic integrity. So, when Newsweek, now back in print under new ownership, let loose its first issue of the New Year on the Bible, I held out the hope that the article would be fair, journalistically credible, and interesting, even if written from a more liberal perspective. But Newsweek‘s cover story is nothing of the sort. 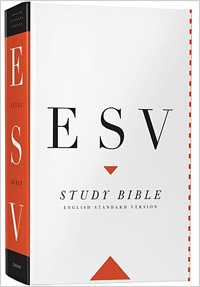 It is an irresponsible screed of post-Christian invective leveled against the Bible and, even more to the point, against evangelical Christianity. It is one of the most irresponsible articles ever to appear in a journalistic guise. My advice to Christians — Do not be thrown off by attacks against your faith, even if they seem to be scholarly. My advice to non-Christians — Don’t read anti-Christian diatribes such as the Newsweek article and think you can dismiss Christianity. I only wrote 23 posts in 2014, so my readership was down a bit. That’s OK; I just have a lot of other things going on. Because of this, nine of the ten most-read posts on The GeoChristian were actually ones written in previous years. 10. John Piper and the age of the Earth — a respected Evangelical pastor who is an old-Earther. 9. The stratigraphic column — not a figment of geologists’ imaginations — Cambrian, Ordovician, Silurian… The rocks really are stacked in this order. 8. 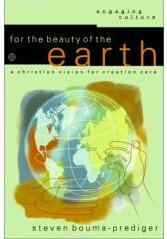 Creation Creeds — What I believe as an old-Earth Christian. 7. Antarctic ice cores: a window to ice age climate change — We cannot understand the present nor the future if we don’t understand the past. 6. Stegosaurus in Cambodian temple? — Humans and dinosaurs did not live together in Southeast Asia. 5. 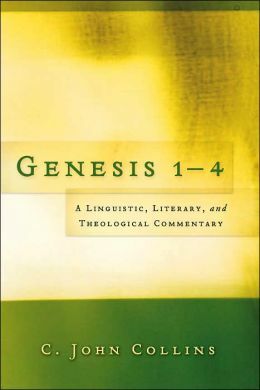 Augustine: The Literal Meaning of Genesis — St. Augustine did not believe that Earth was created in six literal days. 4. 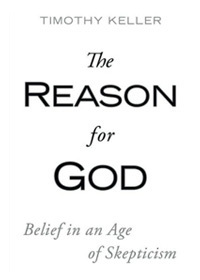 John MacArthur on the age of the Earth and theistic evolution — I use some of John MacArthur’s commentaries in my personal Bible study, but here I point out why he is wrong on the age of the Earth and biological evolution. 3. 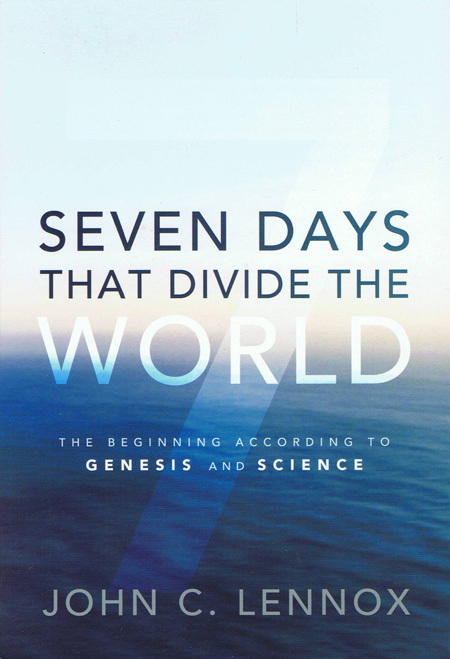 Six bad arguments from Answers in Genesis (Part 1) — The first in a six-part series, outlining why the six best YEC geological arguments for a global flood are bad answers from Answers in Genesis. 2. 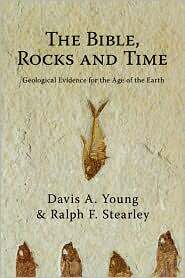 Ken Ham vs. Bill Nye post-debate analysis — Ken Ham and Bill Nye were both wrong about both the Bible and geology. 1. Dr. Dino still in prison — I wrote this post in 2009, and each year since then it has been the most-read post on The GeoChristian. Popular young-Earth creationist speaker Kent Hovind (who does not have a real doctorate) will be released from prison in 2015. The GeoChristian was viewed 72,889 times by 42,740 visitors in 2014. This is down from a high of 153,654 views in 2009. There were 217 comments made on The GeoChristian in 2014. I wrote 23 posts in 2014. My all-time daily high for views was February 5, 2014, the day after the Ham-Nye debate. There were a total of 2,109 views on that date. I hope that The GeoChristian was a blessing to you in 2014, and pray that I would continue to build up the body of Christ, and point non-Christians to Jesus in 2015.